A Medical Cannabis R&D Revolution? Cannabis is a proven treatment for so many different ailments including cancer, fibromyalgia, epilepsy, multiple sclerosis – just to name a few. And yet, a relatively small percentage of people actually recognize medical cannabis as a legitimate option. This is the question that the founders of Eybna Technologies – a top-tier medical cannabis R&D firm based in Israel – have asked themselves from the very beginning. 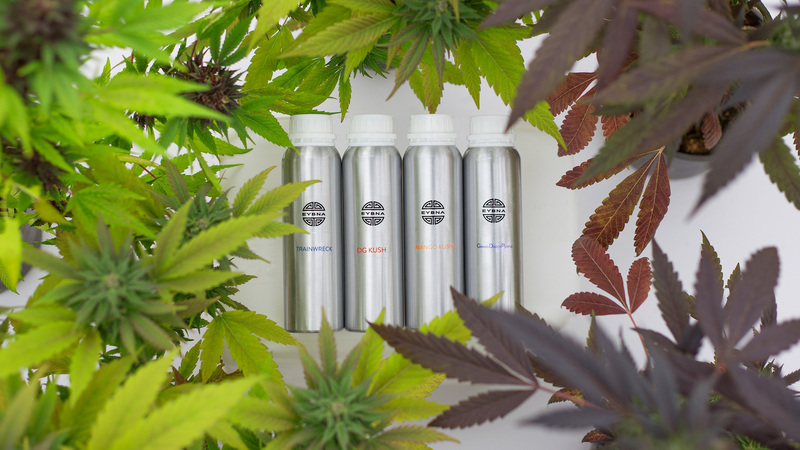 “We realized that many people still see cannabis as a product for use just to get high and not for its medicinal capabilities,” says cofounder Nadav Eyal. Changing this stigma on a global scale and making cannabis more accessible to patients, Nadav continues, requires a technological breakthrough. “We realize that if we want to bring cannabis to individuals, the first step is to completely understand what cannabis is all about,” he says. In other words, the team at Eybna realized that in order to achieve innovation they would have to take the cannabis plant apart to fully analyze each of its hundreds of compounds. “The only way traditional medicine will be willing to adopt cannabis is if we truly understand the plant inside and out and know the materials’ effects on the human body,” says Benjamin Eytan – the company’s other cofounder. A Breakthrough in Terpene Technology? Part of Eybna’s mission has involved using its laboratory to analyze every single component of specific cannabis strains including cannabinoids, flavonoids, terpenes, and more. Along the way, Eybna discovered that it could design formulations of specific terpene profiles (imagine trapping the fragrance of Blue Dream in a bottle). “We realized that we can extract the different terpenes from various medical herbs and create a natural terpene formulation identical to the strain’s profile,” Benjamin explains. According to Eybna, these unique terpene profiles – which also include compounds found in cannabis like flavonoids, and more – are so accurate that not even a laboratory analysis can differentiate between Eybna’s formulations and terpene profiles from the actual plant. If this is true, it’s an absolute game-changer for the cannabis industry, consumers, patients – and how we use terpenes for therapeutic benefit. Why Are Terpenes so Important? Terpenes – found in many different plant varieties – account for the different smells and tastes of cannabis. While these different cannabis scents can often be highly attractive to the human nose, terpenes are also responsible for a significant portion of cannabis’s therapeutic effects. Essentially, terpenes are what shape the mood and experience of a cannabis “high” on a physiological level. Some terpene profiles can intensify the psychoactive effect, others can help reduce anxiety. Some terpenes are good for inflammation, others can make you feel sleepy, and so on. This is why classifying products by terpene profiles rather than indica versus sativa is a much more reliable way to determine the effect of a given strain or product. Essentially, terpenes make up for a large share of the “entourage effect”, working in concert with cannabinoids and other compounds of the plant. Remove terpenes from cannabis and you have a completely different, arguably inferior, substance. The extraction process for many cannabis products including concentrates, edibles, and topicals, actually strips out the terpenes – which can be a huge challenge for product manufacturers. Ideally you want to at least bring those terpenes back into the equation at some point, which is where Eybna’s terpene formulations could make a huge impact. This is great for the unique smells and tastes that many consumers have come to love, and even more important for the therapeutic effect of these products. If Eybna can really design terpene formulations that mimic the taste, smell, and effects of your favorite cannabis strain’s terpene profile, then it could be the perfect way to maintain terpene integrity for cannabis extracts – not to mention a whole world of other possibilities! As Eybna continues its work in cannabis R&D, collaborating with the industry and top scientists, they also have a whole new line of terpene enhancement products on the way that will be sold directly to cannabis consumers worldwide (terpenes are 100% legal). And while Eybna is focused on innovation, there are at least a couple other values extremely close to the company’s mission: cannabis education AND making things easier for the average consumer or patient. This is a huge challenge to overcome, Nadav continues, and once each individual manages to overcome this learning curve, cannabis becomes an incredible tool. Do you want to learn more about cannabis terpenes? Which State Legislatures are Most Likely to Legalize Cannabis in 2017?